You might have been wondering what happened to GSoW as we rarely post updates here on Blogger. Well here is what happened. This site has become problematic to manage as the traffic shows that nearly all the hits are coming from spam sites. More than half the comments are also spam. I didn't want to turn off commenting completely in case someone really wanted to comment, but it's just frustrating. So here is what is going on. We received the JREF award for 2017 and with that donation we have set ourselves up as a non-profit. To become a non-profit we had to have a Board, with by-laws and all kinds of fees and insurance and bank accounts, and investments and PO box and all kinds of things I would never have imagined. Thankfully we had a non-profit attorney deal with the majority of the nightmare paperwork pro bono. If we had been a church in the USA we would have had far less paperwork. Our Board is working on filling out the rest of the paperwork, filing it and paying the fees. We will be a fully functioning non-profit by the end of 2018. We have our tax-ID # and do take donations. We have also changed our name to About Time and have opened up a website (not dealing with Blogger anymore) which shows all the organizations that fall under About Time. One of which is the GSoW project. Check us out to see all the things we are working on. If you want to become involved in science activism, please reach out to us, we may be able to help or at least associate with your work. And we are always looking for more people to join not only GSoW but some of the other things we have in the works. We are mainly using the money to allow us to travel and speak at conferences, as well as at smaller groups. We hope to in the future offer conference scholarships and we still are working on various stings and other projects that require funding. We will rarely update this Blogger account. At the moment though GSoW has over 130 people from all over the world working to rewrite stubs, and create new Wikipedia pages mainly focused on science, scientific skepticism and the paranormal. We also add thousands of edits in tiny and large ways to Wikipedia. We have just added our 654th Wikipedia page. We only count pages that we created completely (no stubs allowed) or pages where we turned a stub into a fully written Wikipedia page. Those 654 pages are mostly English, but over 100 are non-English pages. We keep track of the pageviews for those 654 pages and just hit 28 million views. That's a lot of educating going on. We are also on Facebook, Twitter and Instagram. We haven't gone away, we are growing, grow with us! December 2015 I announced that GSoW was going to focus on Skeptic Books. We had big goals and worked off this Wikipedia list. This list was envisioned and written by GSoW and during the 6 months we focused on this Book Project we completely expanded this list of over 500 books. What happened is that GSoW went through a complete turnaround with its training, organization and leadership. It was a massive change that I called GSoW 3.14, because of this we lost our focus on the Skeptic Book Project. So I apologize to anyone out there that was expecting great skeptic book pages to be turning out every couple days. The fact is that it takes a very long time to write a Wikipedia page correctly and everyone on my team has busy lives and we are all volunteers after-all. Enough with the excuses, lets see what we did turn out. Several of these books were not done in the last 6 months, but in the last few years. I'm going to include them anyway as they were created by GSoW and well worth some extra attention from our community. Tracking the Chupacabra by Ben Radford was created by Nathan Miller in June 2013. Bad Astronomy by Phil Plait was created also by Nathan Miller as well as Plait's other book Death From the Skies! God Sent Me: A Textbook Case on Evolution vs. Creation was a Wikipedia page I wrote after reading a review of the book in a Skeptical Inquirer magazine. The book was written by Jeffery Selman. Far far less than was our intention. Yet, each of these pages are strong, well researched pages that our community can be proud of. One more thing. What do the numbers look like? How many views have these Wikipedia pages received in the time that GSoW can say they took responsibility of the page? This number is only a page view count, we can not know if these are unique visitors or how long the viewer stayed on the page. Just raw page views. Hello there Natural News visitors. Thank you so much for the publicity. Please feel free to engage with me in the comments. I'll be happy to answer any questions you might have. Keep polite and I will also. Trolls please send your messages telepathically and I'll respond in kind. Keep in mind that Big Pharma, Big Government and my Mom will be watching and taking note of your ISP address and putting it on a list. GSoW November and December Year End! Welcome all to the end of the year GSoW extravaganza for work completed November and December 2015. It was a really exciting year for us with many new editors, conferences and tours. Its all a blur to me now. With a few exceptions the majority of the work completed was done by Leon Korteweg, team leader of the Dutch editing team, who seems to have his finger in every pie. His energy and skill always amazes me. We have had many exciting moments in 2015, one in particular is that the Center for Inquiry has elected one of GSoW's photographers to its board of directors. We are talking about Brian Engler whose photography can be seen all over Wikipedia articles GSoW has worked on. Another big moment for us was the creation of the brand new European Skeptics Podcast (ESP), if you haven't already subscribed to this terrific podcast, make sure you do today. The hosts are András Gábor Pintér who runs the Hungarian GSoW team, Jelena Levin on the Russian GSoW team and Pontus Böckman who for some reason has managed to avoid joining the GSoW project. We are planning on using all of their interviews for current and future Wikipedia pages. Very proud of these three! Its the beginning of a brand new year, and GSoW has already started on its focus mission that will run until the end of June 2016. We are trying to complete 100 new or rewritten Wikipedia pages for Skeptic Books, mostly taken off this list of over 500. Please feel free to add more if you see something missing. We are also hoping to create 20 Did You Know? articles and five Good Articles (GA) which is a category on Wikipedia for well good pages. The book project is a passion of mine as I once was a avid reader and still have bookcases filled with old favorites as well as others looking at me wondering when I'm going to get started reading them. We selected this theme because it allowed our editors to be able to work in the areas that interested them most, natural sciences, UFO's, Psychics, general knowledge or whatever they wanted. Be sure to look at the bottom of this blog for recent mentions of the GSoW project. Allianz vun Humanisten, Atheisten an Agnostiker - Brand new page - AHA! is the only explicitly skeptical association in Luxembourg (a little over half a million inhabitants), with a clear focus on refuting religious claims, equal rights for all citizens regardless of persuasion, secular education and keeping religion out of politics. Leon translated this article from German, and searched for more reliable sources in German, French, English and Luxembourgish; with Dutch as his mother tongue, this required switching between five languages in total. Reviewed by April, Janyce and Susan. Religion in Luxembourg - Before & after - Leon Korteweg added and updated information regarding religious demographics in Luxembourg in the past 15 years, taking into account changes and debates on church-state separation, child abuse in the Catholic church, the freedom to leave religion and the rise of the secular community, especially AHA! 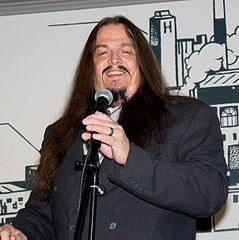 Aron Ra speaking at De Vrije Gedachte. René van Elst CC-BY-SA 4.0. Aron Ra - Before & after - Aron Ra has been influential in the online creation vs. evolution debate, the science versus religion/pseudoscience debate in general, and has been a public speaker for skepticism around the world in recent years. We were notified that a new page had been created, but it was quite incomplete and contained errors. Leon Korteweg, aided by Pieter Droogendijk, set out to finish the article properly, and also let René van Elst upload the photo of the lecture Aron held in May in Utrecht, the Netherlands (which was actually organised by Leon). While we were working on this page and before Leon translated it to Dutch (see below), someone we don't know also published a Swedish version. Central Secular Council - Brand new page - This is the highest institutional body of the organised secular movement in Belgium. Leon translated it from French and added new Dutch info. Centre d'action laïque - Brand new page - This is the umbrella of the all secular organisations in French-speaking Belgium. Leon translated it from French and added extra references. Reviewed by Cédric van Walleghem. 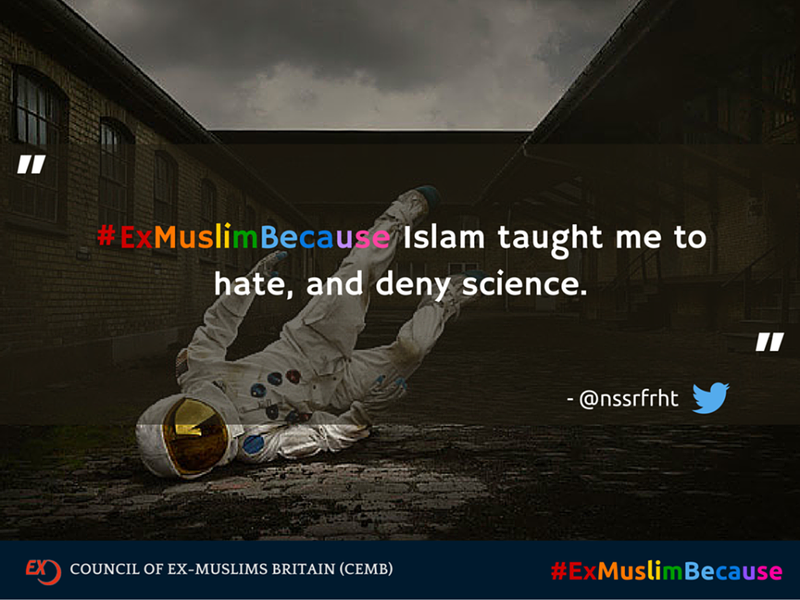 Council of Ex-Muslims of Britain - Brand new page - The CEMB is a UK association that seeks to provide a safe haven for people who have left Islam, and a platform for rational criticism of Islam regarding its factual claims and (un)ethical teachings. Most text was split off from the existing article of Central Council of Ex-Muslims and expanded with info on the #ExMuslimBecause campaign by Leon Korteweg. Some info was inserted in Apostasy in Islam as well. Humanistisch Verbond - Brand new page - The largest humanist association in the Netherlands, which plays an important role in challenging religious privilege and claims, and providing a community for nonbelievers. Translation from Dutch by Leon Korteweg, aided by Remmelt Ellen. 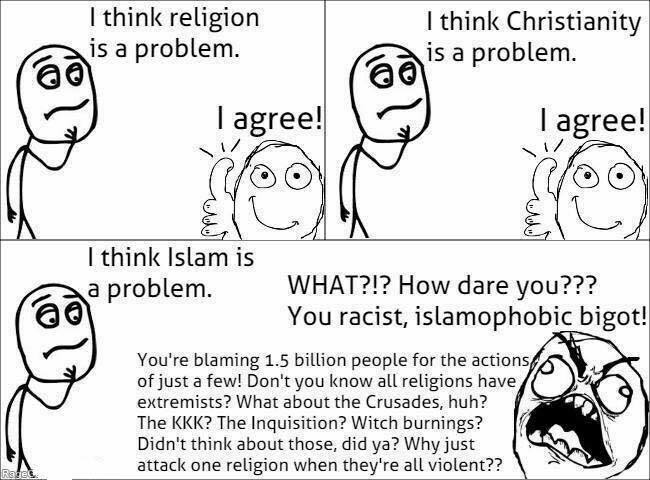 left' for those hesitant to criticise Islam. Maajid Nawaz - Brand new page - Leon translated the English lede of this article to Dutch. 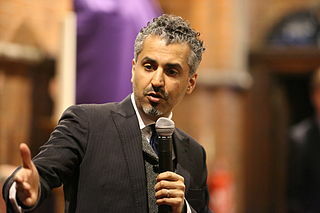 Maajid Nawaz is an influential British reformist Muslim, who is trying to intellectually fight islamism and jihadism, persuading Muslims to abandon those theocratic tendencies, without having to apostatise completely. Well-known New Atheist author Sam Harris has recently started collaborating with him to enable the dialogue on the need to reform Islam. 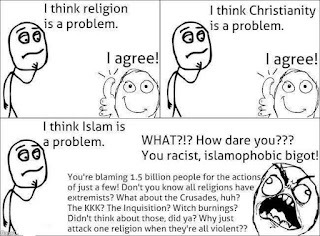 Regressive left - Brand new page - "The first step in solving a problem is to recognize that it does exist." (Zig Ziglar). This is true for pretty much any topic of concern to skeptics, who often face the question 'What's the harm?' This requires us to highlight the possible consequences of denying potentially harmful ideas. "The regressive liberals in some Western countries." Freethinkers of Pakistan, 10 December 2015. Political Islam or Islamism, and its especially violent subcategory of Jihadism, shouldn't be exceptions. However, these are branches of a religion that nowadays (often with violent blackmail) demands and – all too often receives – an amazing amount of undeserved respect that no other extraordinary belief system seems to even come close to. Especially amongst many Western liberals, there is a tendency to exempt Islam, sometimes even in its most harmful expressions, from any fair and open inquiry, criticism, or satire. They state various reasons – perhaps best summarised overall as 'political correctness' – none of which appear to stand up under scrutiny. Such liberals have been dubbed the "regressive left" by Maajid Nawaz (see above), to distinguish them from the "progressive left" that he deems *is* prepared to criticise Islam and especially its theocratic forms. Leon Korteweg originally published this page in November, and it has since been expanded and challenged from many sides. At the moment of writing, this page is still controversial and nominated for deletion, but it looks like it will be kept. UPDATE: Maajid Nawaz himself has commented on the matter. SkeptiCamp video ident by John Mount. 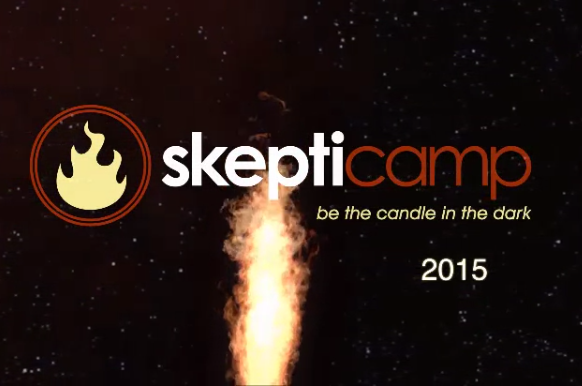 SkeptiCamp - Before & after - New video by Susan Gerbic, refs fixed. Vereniging tegen de Kwakzalverij - Before & after - Listing all chairs since this oldest skeptical organisation was founded in 1881. By Leon Korteweg. Ambiguïteitsdrogreden (ambiguity fallacy) - Brand new page - Category of informal logical fallacies that rely on ambiguous usage of language. Amfibolie (amphiboly) - Brand new page - A kind of ambiguity fallacy, invoked by confusing two ways in which a sentence can be interpreted grammatically. By Leon Korteweg. Equivocatie (equivocation) - Brand new page - A kind of ambiguity fallacy, invoked by confusing two meanings of the same word (homonyms). By Leon Korteweg. A well-known meme to counter an appeal to tradition. Pictured: Pamplona bull running, 50–100 injuries annually. 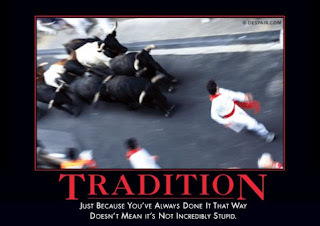 Argumentum ad antiquitatem (appeal to tradition) - Brand new page - An informal fallacy that argues something must be right, just because it's been believed or practised for a very long time, ignoring the possibility it could have been wrong all along. By Leon Korteweg. Aron Ra - Brand new page - Translated from English (see above) by Leon Korteweg. Centrale Vrijzinnige Raad - Brand new page - Leon from French and new Dutch info. Centre d'action laïque - Brand new page - Leon from French (see above). were made into memes by the CEMB. Council of Ex-Muslims of Britain - Before & after - Leon Korteweg expanded it with info on the #ExMuslimBecause campaign. De Ranitz - Before & after - Leon Korteweg took on an (increasingly?) popular conspiracy theory that king William III of the Netherlands was not the real father of queen Wilhelmina, but sir S.M.S. de Ranitz; he would have 'saved the monarchy' by creating desperately needed offspring. The three most common arguments that claimants (especially republican activists, who seek to abolish the royalty) cite in their defence don't appear to hold up under scrutiny. Another Wikipedian elaborated on the matter, providing additional reliable sources. Hizb ut-Tahrir - Before & after - Leon countered one-sided claims (using a slippery slope fallacy) as if this was a 'terrorist' organisation that should be outlawed everywhere, providing a list of countries where it is legal and where it is not. Although an islamist organisation, it seeks to seize power through military coups, not through armed rebellion (jihadism) let alone by targeting civilians (terrorism), and therefore some countries have deemed it proper not to prohibit their activities, lest they go underground and become uncontrollable. Jihadisme (jihadism) - Before & after - Leon Korteweg renamed the page from 'jihadi' and massively expanded it to describe the origins of the term, how its usage changed over the last 25 years, how differs from terms like Islam, Islamism and (jihadist) terrorism. Defining these terms is useful to distinguish between the majority of ordinary Muslims who do not support jihad (holy war) as it is currently being practised around the world, and the relatively small yet important and dangerous minority of Muslims who sympathise with or even participate in it. Scotsman fallacy against his own fans (2011). No true Scotsman - Brand new page - Translated from English by Leon Korteweg, rearranged and examples given from recently published books by two Dutch-speaking skeptical philosophers, Maarten Boudry and Floris van den Berg, whom the Dutch team (Coen, Wim, Emile, Leon) has written about earlier. This logical fallacy is invoked to save the perception we would like have of a certain group, especially a group of people we're part of and like, or a different group that we dislike, by (temporarily) excluding a person or people that belong(s) to the group, but do(es) not conform to the expected behaviour of that group. Regressief links (regressive left) - Brand new page - After writing it in English, Leon translated it to Dutch. Unlike on English Wikipedia, its existence has not been controversial so far, nor have Dutch Wikipedians changed it, so this page has stayed close to the original design. Sam Harris - Before & after - By Leon. Added his new book with Maajid Nawaz, Islam and the Future of Tolerance, and his part in the 'New Atheism' movement. Stichting Skepsis - Before & after - Notable controversies the Dutch Skeptics have been involved in, a new board picture (arranged by Leon at the recent Skepsis Congres). By Leon Korteweg. Suggestieve vraag (suggestive question) - Brand new page (partly split off from 'strikvraag', which appears to not be an actual logical fallacy) - It's not clear what the exact difference is between this fallacy and several related terms, such as 'loaded question', 'leading question' and 'many questions', especially considering the literature on several of them use the classic 'Have you stopped beating your wife?' example to illustrate why it's fallacious. Despite terminological problems, Leon Korteweg presented 5 forms of a suggestive question that people (especially in law & order) should avoid during cross examinations, to prevent false accusations, false confessions and distorting eyewitness testimony. Assisted by Wim Vandenberghe. Vitus Bruinsma - Before & after - Added picture and some references and categories to a newly written article about (arguably) one of the first Dutch skeptics ever, cofounder of the VtdK, (arguably) the oldest skeptical organisation in the world. Loretta Marron - Brand new page - By Svetlana Bavykina, translated from English. Marron is the CEO of Friends of Science in Medicine, which has challenged numerous false and dubious claims from alternative mecidine, and warning the public about these treatments. Australian Skeptics named her Skeptic of the Year three times. Gábor Hraskó - Brand new page - By András G. Pintér, translated from Hungarian. 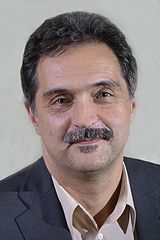 Hraskó is chair of the European Council of Skeptical Organisations (ECSO) and president of the Hungarian Skeptics Society (SzT), and active as a science communicator and skeptical spokesperson in Hungary's national media. Massimo Pigliucci - Brand new page - By Raffaella. 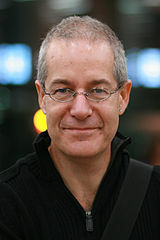 Pigliucci is an Italian-American philosopher and skeptic, co-host of the Rationally Speaking podcast with Julia Galef, and co-author of the 2013 book Philosophy of Pseudoscience with Maarten Boudry. Photos from the Skepsis Congres 2015. Book covers added to Category:Scientific skepticism media. Logos of Giordano Bruno Foundation, ex-Muslim organisations, Skeptic Society (Russia), HuJo and HVV (Flemish humanists). In November 2015 The Wikipedia community was awarded the Erasmus Prize for "For "[promoting] the dissemination of knowledge through a comprehensive and universally accessible encyclopaedia. To achieve that, the initiators of Wikipedia have designed a new and effective democratic platform. The prize specifically recognises Wikipedia as a community — a shared project that involves tens of thousands of volunteers around the world."" In this video the first person you see is GSoW member and WikiMedia admin Vera de Kok. I want you to know how proud we are of Vera, she has been a part of the GSoW project since March 2012, when she was deleting one of my images I was uploading because it did not have the correct licensing. Vera noticed the "theme" of many of my images and realized that we shared a lot in common, we both were critical thinkers out to improve Wikipedia for the betterment of everyone. And we both loved photography. Vera has not only uploaded thousands of photos taken personally, but has been responsible for adding 11,552 images (so far) and audio to WikiMedia Commons in order for them to be used freely on the Internet and in Wikipedia projects. There is no way to be able to show you a representative sample of her achievements as they are far too numerous. But if you are curious about what she has achieved take a look at her WikiMedia Contribution account. To be clear, Vera did not win the Erasmus Prize, but she is one of many bright lights in the world of Wikipedia that is doing far more than her share of work. She is one of many amazing people who volunteer their time helping to educate the world. 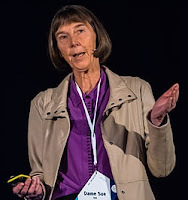 We at GSoW are very proud of WikiMedia and very very proud that we count Vera de Kok as one of our own. Thank you Vera for all that you do. The GSoW tour of Australia, Hong Kong and Dongguan, China is all over. What a blast meeting people, so many of you have been following the project and are big fans of the work we are doing. Thank you for your kind words and support. If you are interested, I have managed to upload lots of video and photos from that trip. I lectured about GSoW to eight different skeptic groups and have several of these also uploaded. We at GSoW are working on some changes for 2016, as we are a all-volunteer group these things take time and will eventually get done, just as time permits. We hope to roll out a new project soon called Stat Badger and is made possible by friend of GSoW, Kyle Polich. If you are a fan of statistics you should check out his podcast Data Skeptic. Also coming January 2016 the GSoW focus is going to be on creating/rewriting Wikipedia pages for skeptical books. We have a list with over 500 listed on it, only about 10 percent have Wikipedia pages and of those 50 most pages aren't in good condition. We are aiming for GSoW to complete 100 Wikipedia pages, 20 to become Did You Know's. We are also looking into making GSoW into a non-profit. This will make it easier for us to receive donations that we can use for outreach. Our audience is the skeptical community, so we need to be present at conferences. Travel and expenses related to conference attendance can get expensive. There are lots of awesomeness below for you to enjoy, please check out the before and afters. Share this blog and leave us comments. And thank you for being here for us. Stichting Skepsis updates. The Dutch skeptics foundation, Stichting Skepsis, has been revamping their website. Leon Korteweg checked and corrected whether URLs from Wikipedia to Skepsis.nl still worked. Some WP articles needed no update at all (yet), others just a better referencing format and/or a new URL here and there, and a few are in such a bad shape in general that he had to go and edit them properly. Although most link from the Dutch Wikipedia, some subjects are addressed on English Wikipedia as well (see English Team). cure any illness. Not so in at least 4 lethal cases. – Adelbert Nelissen - Before & After - A Dutch macrobiotics quack who was (partly) responsible for the death of at least 4 people. He recommended far-fetched pseudoscientific diets to 'get yin and yang balanced' or something, and vehemently dissuaded patients from seeking help from the "medical and nutritional establishment", because doctors will perform any surgery without permission if it makes them money (classic 'Big Pharma' conspiracy theories). I read the really sad story about a man (formerly a well-known politician) whose wife became one of the victims, because she was too afraid to do simple surgery to prevent cervical cancer. Instead, she preferred all kinds of expensive woo woo diets and treatments on Nelissen's advice, wasting valuable time and money. The husband tried everything to persuade her, but didn't want to violate her free choice and physical integrity. They ended up divorced and she died. His story sent a shock through the country in 1998, and other victims came forward. Together they sued Nelissen, who was eventually convicted. Most of Nelissen's WP page was rather promotional of him, almost hagiographic. It said stuff like 'Using cooking lessons and his inspiring lectures, he inspired many to [lead] a more healthy lifestyle. With his direct, intelligent and investigative approach, he challenged many dogmas of established medical and nutritional science'. I changed it to 'Using cooking lessons and his lectures, he encouraged many to [lead] a different lifestyle. With his direct and investigative approach, he challenged much of the knowledge of regular medical and nutritional science', which I think is much more neutral. – Masaru Emoto - Before & After - The Japanese pseudoscientist who claims to have proven water has memory and has a healing effect on people. He was already categorised as a "pseudoscientist", but I added Rob Nanninga and Gerrie Croonen saying that as well in the 'skepticism' section. I added an extra Skepsis article, and asked for sources for several more claims, including an unsourced counter-claim by scientists. stunt is a simple physics trick (2001). – Rasti Rostelli - Before & After - Improved the criticism section with an exposé and TV show episode (21:28) wherein Rob Nanninga exposes the tricks Rostelli used in his performances, which he dishonestly calls 'mere suggestion' when it's a real chemical reaction or 'telekinesis' when it's just a simple magician's physics trick. Also, Rostelli doesn't warn that some of his tricks are actually dangerous, nor does he take care of harm done to participants afterwards. – Rob Nanninga - Before & After - Included the Rostelli exposure, see above. – Alfred Vogel - Before & After - The Swiss homeopath whose 'flagship' product 'Echinaforce' appears to be completely ineffective. There was already a criticism section, but it was a bit out of order. Also added Arjen Lubach's satire. – Echinaforce - Before & After - Basically the same addition as with Alfred Vogel under the 'Ontdekking' section. Good Thinking Society investigates Peter Popoff: Michael Marshall and a colleague show how Popoff persuades people to send him money for empty promises and near-worthless trinkets in return, and how a stage 'healing' was probably faked. – Good Thinking Society - Before & After. – Peter Popoff - Before & After - There was barely any information on Dutch Wikipedia so far; we doubled the contents. Al Seckel - Before & After - Assessment of apparent date of death by Leon Korteweg. There is still much uncertainty on this point. Paul Verhaeghe - Before & After - Criticism against his psychoanalytical views were presented as a 'conspiracy' amongst a group of philosophers and journalists, as if he was being persecuted. In fact, just a handful of individual philosophers and one journalist criticised his views separately, there was no coordinated 'attack'. The skeptics were not properly mentioned by name, nor their critical articles referenced. (Ironically, the psychoanalysts later published a collective manifesto against the 'scientistic' skeptics themselves, doing exactly what Verhaeghe's page falsely accused their opponents of doing). Australian Skeptics Inc. CC-BY-SA 4.0. Australian Skeptics - Grand rewrite by Michelle Franklin - Before & After. Michelle did major improvements to the article, which was then presented by Susan Gerbic at the Australian Skeptics National Convention in October 2015. 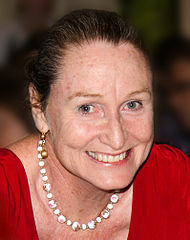 Deborah Hyde at QED 2014.Andrew Merritt CC-BY-SA 3.0. Deborah Hyde - Brand New Page - created by András Pintér. 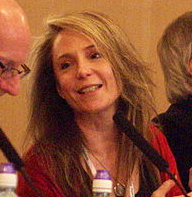 She is the most prominent skeptical investigator of cryptozoology in the UK, and the editor of The Skeptic. Launceston Skeptics - Brand New Page - created by Susan Gerbic. Jon-Erik Beckjord - rewrite by Janyce Boynton - Before & After. 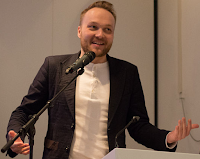 Arjen Lubach. Vera de Kok CC-BY-SA 4.0. Arjen Lubach - Brand New Page - A Dutch comedian, television presenter and writer, skeptical about religion, homeopathy, the monarchy etc. 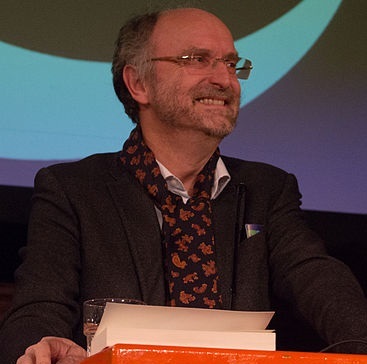 His Dutch page, earlier expanded by Emile Dingemans and provided a picture and voice intro by Vera de Kok, was translated to English by Leon Korteweg and reviewed by April Poff. Al Seckel - Before & After - Assessment of apparent date of death by Susan Gerbic, Jerod Lycett and others. There is still much uncertainty on this point. Also added an infobox. Alfred Vogel - Before & After - After the improvements on Dutch Wikipedia (see above) Leon Korteweg copypaste-translated the criticism section to English Wikipedia, and debunked the whole Ben Black Elk story in the Travels section. He deleted the appeal to tradition claim that 'The Sioux had known of this plant for generations and used it as an all-round remedy: externally for snakebites, wounds and bruising and internally for strengthening the immune system', which had been challenged since October 2011. Sue Ion. Rob McDermott CC-BY-SA 4.0. Good Thinking Society investigates Peter Popoff: see above. Good Thinking Society - Before & After - See above. Michael Marshall (skeptic) - Before & After - See above. Peter Popoff - Before & After - See above. Rob Nanninga - Before & After - See above. Paul Verhaeghe - Before & After - See above. Paul Cliteur. Vera de Kok CC-BY-SA 4.0. 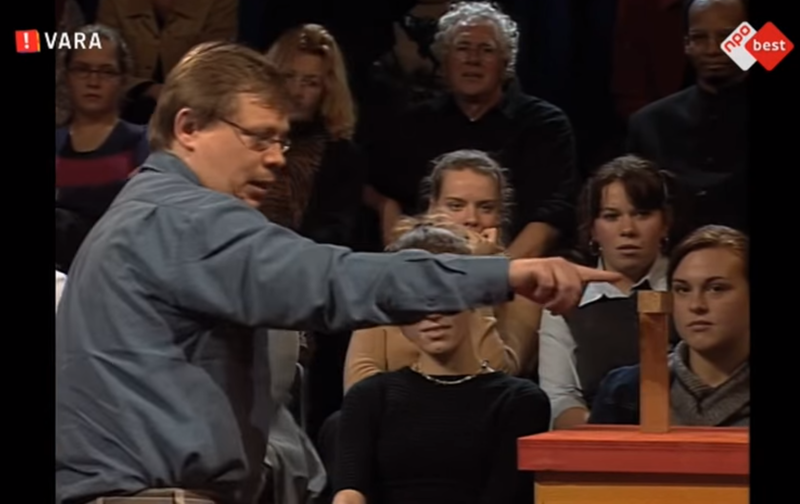 Paul Cliteur - Brand New Page - A Dutch Professor of Jurisprudence and Philosophy, he is a well-known critic of religion in general and Islam in particular, and an advocate for atheism, secularism, free speech, animal rights etc. Leon Korteweg recorded his voice intro, improved, expanded and translated his biography, reviewed by April Poff and Janyce Boynton. ECSO board meeting in London. András Pintér CC-BY-SA 4.0. European Skeptics Congress photos and voice intros: Brand New Category. Contributions by András Pintér and Leon Korteweg. Karin Spaink. René van Elst CC-BY-SA 4.0. Photos of Karin Spaink (Freethinker of the Year 2015), Paul Scheffer and a voice intro of Karin Spaink. English before & English after – Dutch before & Dutch after. Skepsis Congres photos and voice intros: Brand New Category. Contributions by Leon Korteweg.